The Protestant Reformation did not come to England because of a religious revival or a change of heart on the part of the common people, but rather politics led to the formation and survival of that nation’s Church and only much later did public opinion become Protestant. In fact, the creation of the Church of England was premature when viewed in light of the Reformation in other parts of Europe. King Henry VIII created it for personal reasons and he never truly became Protestant in belief and practice. The schism with Rome did however, allow for the political and ecclesiastic infiltration of Protestants that set in motion a thorough reformation under Edward and Elizabeth that would not have come at all in the 16th century had it not been for Henry’s feud with the Pope. The people by and large however, did not convert until the end of the century after itinerant preachers had waged conversion campaigns toward them for decades and even then much of it was only acquiescence to the new order. Therefore, it is not that difficult to imagine how different England and through it the world would have been had Henry VIII remained faithful to his first wife. Henry VIII broke with the Pope and claimed authority over the English Church not because he was Protestant, but because he needed an avenue to assert his autonomy from the Roman Catholic Church in order to put away his queen, Katherine of Aragon and marry his mistress Anne Boleyn. The king had a daughter by his queen, Katherine of Aragon, but had lost affection for her as early as 1514 when he took his first known mistress. He had a son out of wedlock in 1519, but had disinherited him from the throne because of his illegitimacy. Around 1525, he developed affections for his mistress Anne Boleyn and after nearly two decades of marriage, he was suddenly enlightened to the Biblical revelation of Leviticus 20:21 that it was an abomination for him to have his brother’s wife. Opponents refuted this claim, pointing to a passage in Deuteronomy in which God specifically commanded the Israelite men to take their deceased brothers’ wives to show that the Leviticus passage did not refer to dead brothers. Nevertheless, Henry was determined that he needed a new queen that would give him a son to inherit the throne. He decided to divorce Katherine and marry Anne. When the Pope did not endorse Henry’s divorce of Katherine and marriage to Anne, he grew impatient and began looking for local avenues to gain what he wanted. When Archbishop William Warham died in 1532, Henry appointed the Protestant Thomas Cranmer to succeed him. In May 1533, Archbishop Cranmer officially annulled the marriage between Henry and Katherine. However, events would soon show that the English people were not ready for reformation in the 1530s. The English, Catholic clergy under Archbishop Warham had made significant reforms during the time of Luther’s attacks on the Church that neutralized many of the Protestant claims of theological and economic corruption. The attack on purgatory and icons in England had a very limited effect on the general population and the sale of indulgences was not nearly as common among English Catholics as it was in the German churches; therefore, opposition to the Roman Church on this front remained mostly an academic debate and did not provoke any widespread, grassroots revolt in opposition to ecclesiastical corruption because there was not much that the average person could find. When the Protestant Reformation erupted in Europe, Henry had shown no affinity toward Lutherans and other Protestants who tried to disperse Luther’s works in England. Under Henry’s rule, Wolsey and English Church authorities vigorously rooted out Luther’s works and imprisoned his followers wherever they found them. At Wolsey’s request, Henry wrote Assertio septem sacramentorum adversus Martinum Lutherum (“Declaration of the Seven Sacraments Against Martin Luther”) for which Pope Leo X gave Henry the title of “Defender of the Faith.”, Even as late as 1530, on the eve of schism, Henry instructed secular authorities to assist ecclesiastical authorities in stamping out heretics. This order was taken seriously by Thomas More who became chancellor in 1529. He turned from simply burning books to burning those who carried them. But, the marriage crisis provided a common enemy with the Protestants in the Pope. On May 10, Henry’s administration told the Canterbury Convocation that the king required submission to three articles: all future religious legislation would be subjected to royal veto; existing canons would be examined by a committee made of clergy and laymen; and all remaining canons would have to stand by royal authority. The bishops submitted rather than face the king’s wrath individually. The Convocation only agreed to Henry’s demand that they recognized him as ‘Supreme Head’ of the English Church by tacking on the words “so far as the law of Christ allows.” A series of Parliamentary acts in the early and mid-30s deprived the Pope of English revenue and redirected that revenue to the new order of king and country. Then, in 1536, Henry’s administration turned the heat of their attention to the monasteries and within four years had seized over eight hundred religious houses. Some of these were retained by the Crown and the rest were sold, further adding to the king’s coffers. Although Henry did not wrest the English Church away from Rome out of any religious motivation, the king was no humanist cynic in disguise. He did personally hold enough Protestant beliefs to stomach the new ecclesiastical order. His break with Rome allowed Protestant Reformers to gain positions of political as well as ecclesiastical leadership that produced the authorization of English Bibles that would eventually lead to a thorough reformation of the English Church by the turn of the next century and ultimately, the publication of the King James Bible in 1611, the gold standard of vernacular, ecclesiastical works. Furthermore, Henry supported the conservative bishops in Cranmer’s negotiations with German Lutherans who refused to condemn what the Lutherans referred to as the “four abuses:” clerical celibacy, monastic vows, communion in one kind, and private masses. 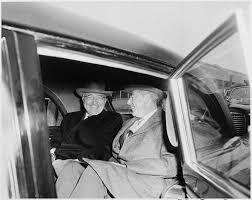 This prompted the Germans to retreat in disgust, claiming, “Harry only wants to sit as Antichrist in the temple of God, and that Harry should be pope. The rich treasures, the rich incomes of the Church, these are the Gospel according to Harry!” This set Cromwell and Cranmer on the wrong side of the conservative bishops and the king which would eventually bring both their executions, Cromwell under Henry and Cranmer under Mary. Northumberland largely continued the religious policies of his predecessor. In 1552, with the help of Cranmer, he introduced a new Prayer Book which carried the reforms of the 1549 Prayer Book even further. In June 1553, shortly before Edward’s death, Northumberland gave the royal assent to forty-two articles of doctrine which Calvinism strongly influenced. Elisabeth would later use these and the 1552 Prayer Book on which to build her Protestant policies. Northumberland was later executed during the Marian regime, renouncing his Protestant faith but it is believed by many that he had only acquiesced all along for the sake of power or because he believed as a servant of the Crown, it was his duty to ascribe to the belief system of his monarch. Elizabeth, brought up like Edward under humanist tutors was also a devoted Protestant; although, she found it politically expedient to conform during the Mary’s years in the interest of self-preservation. She replaced Mary’s advisors and bishops with advisors who had served under Edward, while showing that she was more open to tolerating diversity of opinion by leaving all of the judges that served under Mary on the bench. Once she made peace with France in 1559, she pursued a more vigorous Protestant policy, including the Acts of Supremacy and Uniformity which reaffirmed the supremacy of the monarch over the Church of England and revised the Forty-two Articles under Edward down to thirty-nine with strong Calvinist elements. However, the majority of the English population was not fully committed to Protestantism. On several occasions she made concessions to Catholic practices, if not necessarily Catholic beliefs. Like Henry VIII’s advisors, hers tended to be much more fervent in their Protestantism than their sovereign. 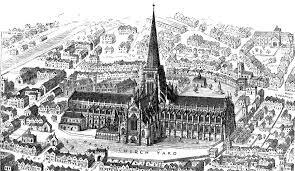 In 1566, a commission examined 152 churches to see how many had complied with the Articles and Injunctions of 1559. Sixty had only recently begun to comply and twenty-five had only done so partially. Furthermore, the commoners’ refusal to attend Protestant church services and their apathy when forced to did not help the Protestant cause from a belief standpoint. Protestantism is much more a religion of the mind and less of habit than Catholicism and reformers found it difficult to convince busy farmers and peasants to take time to delve into personal study and reflection of God’s word. With the visual images of Christianity removed, many of the commoners felt no affinity with the new ecclesiastical order. To make matters worse, finding Protestant preachers was becoming increasingly difficult. Here Elizabeth’s political concerns clashed with the priorities of her more zealous Privy Council. Elizabeth ordered Archbishop Grindal to limit the already small number of licensed preachers because she was concerned it would provoke continued refusal of church attendance on the part of Catholics. This provoked a backlash on the part of Grindal and the Council and the queen did not push the issue. During the first half of Elizabeth’s reign, she pursued a middle-of-the-road policy to avoid alienating her Catholic subjects or bringing the wrath of Catholic Europe on her nation. She still had to contend with an unruly Scotland which at the time was still very much Catholic. Once war with France ended however, she pursued a much more hard-line Protestant approach that included the same repression that the regimes of Henry VIII and Edward had imposed on nonconformists. The infiltration of priests from the Continent provoked the anti-Catholic statute of 1581 which made it treasonous to be absolved from schism and reconciled to Rome and increased the fines for lack of church attendance, or recusancy. As war broke out between England and Spain, Elizabeth began persecuting Catholics like she had not done previously. Over a hundred fifty Catholics were executed for treason in the 1580s and 1590s, many of them missionary priests. However, the political apparatus that both Edward and Elizabeth put in place made it much easier for Protestant preachers and laymen to change those hearts and minds. Legislation made it illegal to preach Catholic doctrine and it eventually became illegal even to be a Catholic priest. When England went to war with Spain, European missionary priests were looked on all the more as traitors and many of them were executed. With no priests, Catholicism was doomed to a quick death. The missionary efforts of many of the priests trained in France did allow a remnant of Catholics to remain in England into the seventeenth century, but their dwindling numbers were no match for the massive conversions to Protestantism. Henry’s greatest service to the cause of Protestantism was the fact that he authorized the publication of vernacular bibles which greatly increased Bible reading throughout the realm. Henry had always opposed William Tyndale’s New Testament which Tyndale had translated before Henry broke with Rome, so in 1535, Miles Coverdale, an English, Protestant clergyman published the first complete English translation of the Bible. Cromwell convinced the king to allow the sale of this translation as well as two more throughout the remainder of the decade. All three of these became resounding successes with the laity. The dispersion of English Bibles increased literacy and contributed to English literature throughout the sixteenth and seventeenth centuries which were riddled with references and allusions to the Bible. Between 1527 and 1547, around eight hundred separate editions of religious works, many of them Protestant works were printed in English. Without royal authorization of these works, there is no reason to believe the government would have not continued to be just as successful in suppressing the dissemination of Protestant literature throughout the rest of the century as it was in the 1520s before Henry turned the nation against Rome. Even though Henry VIII was not personally a reformer or even much of a Protestant for that matter, his failed marriage, desire for a male heir, lust, and thirst for absolute power ended up handing the Protestant Reformers a victory in England that in all likelihood would have otherwise never happened, at least in all probability not for another century. This would have had enormous implications for the war that Spain waged against Holland at the end of the sixteenth century. A Catholic monarch would most likely have involved England on the side of Spain. The Spanish Armada would have never been defeated because there would have been no need to invade a Catholic England and it is not out of the realm of possibility that England might have joined the Catholic side during the Thirty Years War, bankrupting the island nation while exterminating Protestantism on the Continent on the side of Spain. An impoverished, war-weary England may or may not then have colonized the North American continent as extensively as it did. 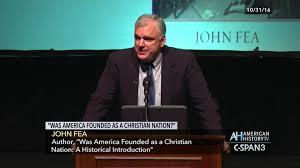 But, even if it had, without a Protestant Reformation, there would have been no Great Awakening, which leads into an entirely different debate on how much influence the Reformation had on the existence of the American Revolution and the creation of the United States of America. Such what-if branches are endless. But, one thing history demonstrates clearly is that decisions by individuals to take a particular course of action can change the course of human history for centuries and even millennia to come. Honors Tesis., Ball State University. 2012. Alan G.R. Smith, The Emergence of a Nation State: The Commonwealth of England 1529-1660, New York: Longman Group Limited, 1984, 19. Christopher Haigh, English Reformations: Religion, Politics and Society under the Tudors, (Oxford: Oxford University Press, 1993, 88-90. “Defender of the Faith: English Royal Titles,” Encyclopaedia Britannica, http://www.britannica.com/topic/defender-of-the-faith.